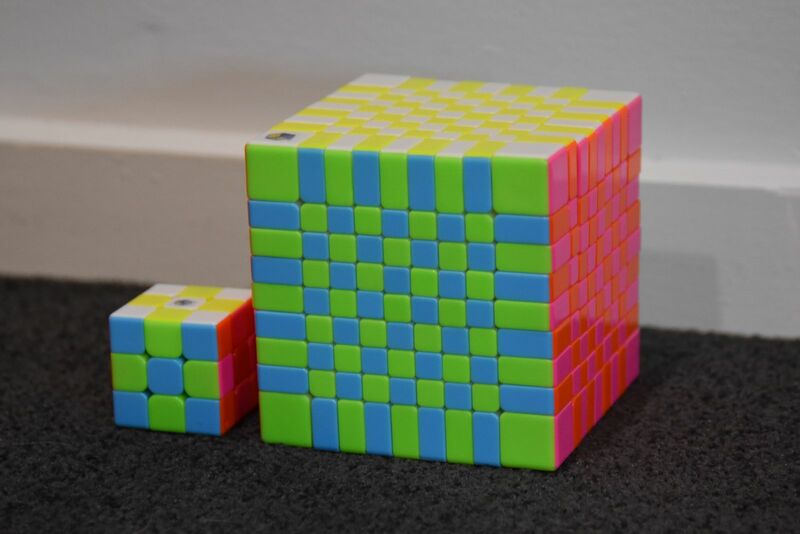 The YuXin Huanglong is the first stickerless 9x9 cube released in market and also marks the first 9x9 cube released by Yuxin. Turning through the layers with this cube is exceptionally smooth for this great looking cube. The puzzle is packaged in a nice display box and it comes with a set of extra replacement caps in case any are lost. I believe that this 9x9 is the best on the market. It turns extremely well and can corner cut too. When i first ordered it i was a bit unsure about the pink instead of red but it really hasn’t effected anything. This is a great cube for your collection, i strongly reccomend it. Tina L. Reviewed by Tina L.
Nikhil S. Reviewed by Nikhil S.
Amazing puzzle. It turns much better than any other 8x8- 11x11 .it's very fast. Doesn't pop. It also corner cuts a bit(5-10°).